Jianguo Yao obtained his Ph.D degree at Northwestern Polytechnical University in 2010, and was a joint-education Ph.D student at McGill University from 2007 to 2008. He was also a joint Postdoctoral Fellow at Ecole Polyechnique de Montreal and McGill University from 2011 to 2012. In 2011, he worked briefly as an intern researcher at Bombardier Inc. in Canada. In 2015, he worked as a visiting professor at Technische Universität München in Germany. He received the prestigious Alexander von Humboldt Fellowship and PBEEE/Quebec Merit Scholarship for Foreign Students from Quebec Fund for Research on Nature and Technology (FQRNT). 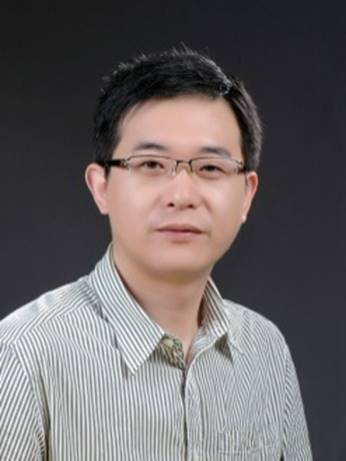 Dr. Yao is an Associate Professor at the Shanghai Jiao Tong University (SJTU), Shanghai, China, and he directs the Automatic Computing Group at SJTU. His research interests are distributed systems, virtualization in clouds and industrial big data. He has published more than 50 research papers in major peer-reviewed International journals and top-conference proceedings, including Proceedings of the IEEE, ACM/IEEE Transactions (TPDS, TDSC, TSC, TII, TIE, TSG, TACO, TECS, TSN), RTSS, VLDB, ATC, KDD, INFOCOM, ICDCS, HPDC etc. He is very active with the Cloud and Data communities. He has participated in various conferences, and served as Publicity Co-Chairs in the conferences including Middleware 2016, ICAC 2016, and TPC members in the conferences including: INFOCOM 2014’2015’2016’2017, ICDCS 2015’2017-2019, Middleware 2017, ACM e-Energy 2017, SIES 2013, RTCSA 2012’2013 and ICPADS 2012 etc. He is a Senior Member of IEEE. [2018.08]: One paper is accepted by CIKM 2018. Congratulations to Xijun. [2018.05]: One paper is accepted by SIGKDD 2018. Congratulations to Xijun. [2018.04]: One paper is accepted by ATC 2018. Congratulations to Bo. [2018.04]: One paper is accepted by ICDCS 2018. Congratulations to Xiaohui. [2018.02]: Two paper are accepted by VEE 2018 and IEEE TSC. Congratulations to Yu. [2018.02]: One paper is accepted by DASFFA 2018. Congratulations to Xuanyu. [2018.01]: One paper is accepted by IEEE Network. Congratulations to Xiaohui and Hanyang. [2018.01]: One paper is accepted by IPDPS 2018. Congratulations to Bo. [2017.12]: One paper is accepted by INFOCOM 2018. Congratulations to Ting. [2017.11]: One paper is accepted by IEEE Transactions on Industrial Informatics. Congratulations to Yu. [2016. 12]: Publicity Plug: I am elected as a Senior Member of IEEE. [2016.07]: One paper is accepted by IEEE Transactions on Dependable and Secure Computing. Congratulations to Fanfu. [2016.07]: Two papers are accepted by IEEE Transactions on Services Computing. Congratulations to Ting and Qiumin. [2016.06]: One paper is accepted by IEEE Internet Computing. Congratulations to Haihang. [2016.01]: Paper “MixCPS: Mixed Time/Event-Triggered Architecture of Cyber-Physical Systems" is accepted by Proceedings of the IEEE. Jianguo Yao, Xue Liu, Guchuan Zhu and Lui Sha, “Controller Redundancy Design for Cyber-Physical Systems”, a book chapter for Cyber Physical Systems: From Theory to Practice, Auerbach Publications, CRC Press, Taylor & Francis Group, USA,2015. [IEEE TSC] Yu Xu, Jianguo Yao, Hans-Arno Jacobsen and Haibing Guan, "Enabling Cloud Applications to Negotiate Multiple Resources in a Cost-Efficient Manner", IEEE Transactions on Services Computing (2018). new! [IEEE CCM] Yu Zhang, Jianguo Yao and Haibing Guan, “Intelligent Cloud Resource Management with Deep Reinforcement Learning”, IEEE Cloud Computing 4(6): 60-69 (2018). new! [IEEE Network] Xiaohui Zhao, Hanyang Ma, Yuan Jin and Jianguo Yao, “Measuring Instability of Mobility Management in Cellular Networks”, IEEE Network, (2018). (Accepted) new! [IEEE TII] Yu Zhang, Jianguo Yao, Guchuan Zhu and Bin Wen, “Power Peak Shaving with Data Transmission Delays for Thermal Management in Smart Buildings”, IEEE Transactions on Industrial Informatics, (2017). (Accepted) new! [PIEEE] Jianguo Yao, Xin Xu and Xue Liu, “MixCPS: Mixed Time/Event-Triggered Architecture of Cyber-Physical Systems”, Proceedings of the IEEE 104(5): 923-937 (2016). [IEEE TDSC] Fanfu Zhou, Zhengwei Qi, Jianguo Yao, Athanasios V. Vasilakos and Haibing Guan, “D2FL: Design and Implementation of Distributed Dynamic Fault Localization”, IEEE Transactions on Dependable and Secure Computing (2016). [IEEE IC] Haihang Zhou, Jianguo Yao, Xue Liu, and Haibing Guan, “Enabling Energy Storage in Internet Data Centers: Requirements, Standards and Opportunities”, IEEE Internet Computing 20(5): 66-70 (2016). [IEEE TIE] Jianguo Yao, Giuseppe Tommaso Costanzo, Guchuan Zhu and Bin Wen, “Power Admission Control with Predictive Thermal Management in Smart Buildings”, IEEE Transactions on Industrial Electronics, 62(4): 2642-2650 (2015). [IEEE TPDS] Jianguo Yao, Haibing Guan, Jianying Luo, Lei Rao and Xue Liu, “Adaptive Power Management Through Thermal Aware Workload Balancing in Internet Data Centers”, IEEE Transactions on Parallel and Distributed Systems, 26(9): 2400-2409 (2015). [IEEE TPDS] Haibing Guan, Jianguo Yao, Zhengwei Qi and Runze Wang, “Energy-Efficient SLA Guarantees for Virtualized GPU in Cloud Gaming”, IEEE Transactions on Parallel and Distributed Systems, 26(9): 2434-2443 (2015). [IEEE TPDS] Jianguo Yao, Haihang Zhou, Jianying Luo, Xue Liu and Haibing Guan, “COMIC: Cost Optimization for Internet Content Multihoming”, IEEE Transactions on Parallel and Distributed Systems, 26(7): 1851-1860 (2015). [IEEE TSC] Jianguo Yao, Xue Liu, Xiaoyun Zhu and Haibing Guan, “Control of Large-Scale Systems Through Dimension Reduction”, IEEE Transactions on Service Computing, 8(4): 563-575 (2015). [IEEE TPDS] Chao Zhang, Jianguo Yao, Zhengwei Qi, Miao Yu and Haibing Guan, “vGASA: Adaptive Scheduling Algorithm of Virtualized GPU Resource in Cloud Gaming”, IEEE Transactions on Parallel and Distributed Systems, 25(11): 3036-3045, 2014. [ACM TACO] Zhengwei Qi, Jianguo Yao, Chao Zhang, Zhizhou Yang and Haibing Guan, “VGRIS: Virtualized GPU Resource Isolation and Scheduling in Cloud Gaming”, ACM Transactions on Architecture and Code Optimization, 11(2): 17, 2014. [IEEE TSG] Jianguo Yao, Xue Liu and Chen Zhang, “Predictive Electricity Cost Minimization Through Energy Buffering in Data Centers”, IEEE Transactions on Smart Grid, 5(1): 230-238 ,2014. [IEEE TII] Jianguo Yao, Xue Liu, Guchuan Zhu and Lui Sha, “NetSimplex: Controller Fault Tolerance Architecture in Networked Control Systems”, IEEE Transactions on Industrial Informatics, 9(1): 346-356 ,2013. [ACM TSN] Rui Tan, Guoliang Xing, Zhaohui Yuan, Xue Liu, Jianguo Yao, "System-level Calibration for Data Fusion in Wireless Sensor Networks", ACM Transactions on Sensor Networks，vol.9, no.3, Article 28, June 2013. [IEEE TECS] Rui Tan, Guoliang Xing, Xue Liu, Jianguo Yao, Zhaohui Yuan, "Adaptive Calibration for Fusion-based Cyber-Physical Systems", ACM Transactions on Embedded Computing Systems，vol.11, no.4, December 2012. [USENIX ATC] Bo Peng, Haozhong Zhang, Jianguo Yao, Yaozu Dong, Yu Xu and Haibing Guan, “MDev-NVMe: A NVMe Storage Virtualization Solution with Mediated Pass-Through”, in Proceedings of the 2018 USENIX Annual Technical Conference (USENIX ATC '18), BOSTON, MA, USA, 2018. new! [SIGKDD] Xijun Li, Mingxuan Yuan, Di Chen, Jianguo Yao, and Jia Zeng, “A Data-Driven Three-Layer Algorithm for Split Delivery Vehicle Routing Problem with 3D Container Loading Constraint”, in Proceedings of the 24th ACM SIGKDD International Conference on Knowledge Discovery and Data Mining (SIGKDD '18), London, United Kingdom, 2018. new! [ICDCS] Xiaohui Zhao, Jianguo Yao, Ping Gao and Haibing Guan, “Efficient Sharing and Fine-Grained Scheduling of Virtualized GPU Resources”, in Proceedings of the 38nd International Conference on Distributed Computing Systems (ICDCS'2018), Vienna, Austria, 2018. new! [VEE] Yu Xu, Jianguo Yao, Yaozu Dong, Kun Tian, Xiao Zheng, Haibing Guan, "Demon: An Efficient Solution for on-Device MMU Virtualization in Mediated Pass-Through", in Proceedings of the 14th ACM SIGPLAN/SIGOPS International Conference on Virtual Execution Environments (VEE'2018), Williamsburg, Virginia, United States, 2018. new! [CIKM] Xijun Li, Jianguo Yao, Mingxuan Yuan and Jia Zeng,, " A Two-Layer Algorithmic Framework for Service Provider Configuration and Planning with Optimal Spatial Matching", in Proceedings of ACM International Conference on Information and Knowledge Management (CIKM'2018), Lingotto, Turin, Italy, 2018. new! [DASFAA] Xuanyu Bai, Jianguo Yao, Mingyuan Yuan, Jia Zeng and Haibing Guan, "Qualitative Instead of Quantitative: Towards Practical Data Analysis Under Differential Privacy", in Proceedings of the 23rd International Conference on Database Systems for Advanced Applications (DASFAA'2018), Gold Coast, Australia, 2018. new! [IPDPS] Bo Peng, Jianguo Yao, Zhengwi Qi and Haibing Guan, “HybridPass: Hybrid Scheduling for Mixed Flows in Datacenter Networks”, in Proceedings of the 31st IEEE International Parallel & Distributed Processing Symposium (IPDPS'2018), Vancouver, British Columbia CANADA, 2018. new! [INFOCOM] Ting Deng, Jianguo Yao, Haibing Guan, "Maximizing Profit of Cloud Service Brokerage with Economic Demand Response", in Proceedings of IEEE Conference on Computer Communications (INFOCOM'2018), Honolulu, HI ,USA, 2018. (Acceptance ratio=19.2%) new! [SIGSPATIAL] Sheng Zhang, Shenglin Zhao, Mingxuan Yuan, Jia Zeng, Jianguo Yao, Michael R. Lyu, Irwin King, “Traffic Prediction Based Power Saving in Cellular Networks: A Machine Learning Method”, in Proceedings of the 25th ACM SIGSPATIAL International Conference on Advances in Geographic Information Systems (SIGSPATIAL’2017), Redondo Beach, California, USA, 2017. new! [SRDS] Jianguo Yao, Qiumin Lu, Hans-Arno Jacobsen and Haibing Guan, “Robust Multi-Resource Allocation with Demand Uncertainties in Cloud Scheduler”, in Proceedings of the 36th Symposium on Reliable Distributed Systems (SRDS'2017), Hong Kong, China, 2017. new! [SRDS] Jianguo Yao, Qiumin Lu, Zhengwei Qi and Haibing Guan, “Automated Resource Sharing for Virtualized GPU with Self-Configuration”, in Proceedings of the 36th Symposium on Reliable Distributed Systems (SRDS'2017), Poster, Hong Kong, China, 2017. new! [IWQoS] Yu Xu, Jianguo Yao, Hans-Arno Jacobsen and Haibing Guan, “Cost-Efficient Negotiation over Multiple Resources with Reinforcement Learning”, in Proceedings of IEEE/ACM International Symposium on Quality of Service (IWQoS'2017), Vilanova i la Geltrú, Barcelona, Spain, 2017. new! [SMARTCOMP] Zhiguang Tang, Haihang Zhou, Yujin Zhu, Run Tian and Jianguo Yao, “Quantitative Availability Analysis of Hierarchical Datacenter under Power Oversubscription”, in Proceedings of the 3rd IEEE International Conference on Smart Computing (SMARTCOMP’2017), Hong Kong, China, 2017. new! [ICDCS] Xijun Li, Jianguo Yao, Xue Liu and Haibing Guan, “A First Look at Information Entropy-Based Data Pricing”, in Proceedings of the 37nd International Conference on Distributed Computing Systems (ICDCS'2017), Atlanta, GA, USA, 2017. new! [DATE] Yaozu Dong, Jianguo Yao, Haibing Guan, Ananth. Krishna R and Yunhong Jiang, “MobiXen: Porting Xen on Android Devices for Mobile Virtualization”, in Proceedings of Design, Automation, and Test in Europe (DATE 2017), Lausanne, Switzerland, 2017. new! [HPCC] Xin Xu, Wei Zhou and Jianguo Yao, “ProCAM: A Proactive Coordinating Mechanism for Low-Congestion Datacenter Networks, in Proceedings of International Conference on High Performance Computing (HPCC’2016), Sydney, Australia, 2016. [PVLDB] Xueyang Hu, Mingxuan Yuan, Jianguo Yao, Yu Deng, Lei Chen, Qiang Yang, Haibing Guan and Jia Zeng. Differential Privacy in Telco Big Data Platform, in Proceedings of VLDB, Kohala Coast, Hawaii, USA, 2015. [ICPADS] Augustin Jouy, Jianguo Yao and Guchuan Zhu, “Optimal Bandwidth Allocation with Dynamic Multi-Path Routing for Non-Critical Traffic in AFDX Networks”, in Proceedings of the 20th IEEE International Conference on Parallel and Distributed Systems (ICPADS 2014), Hsinchu, Taiwan, 2014. [HPDC] Miao Yu, Chao Zhang, Zhengwei Qi, Jianguo Yao, Yin Wang and Haibing Guan, “VGRIS: Virtualized GPU Resource Isolation and Scheduling in Cloud Gaming”, in Proceedings of the 22nd International Symposium on High-Performance Parallel and Distributed Computing (HPDC'2013), New York City, 2013 . [ICPADS] Jie An, Jianguo Yao and Haihang Zhou, “A Better Understanding of Event-Triggered Control From A CPS Perspective”, in Proceedings of the 19th IEEE International Conference on Parallel and Distributed Systems (ICPADS’2013), Seoul, Korea, 2013. [ICPADS] Jianguo Yao and Guchuan Zhu, “System-Level Scheduling of Mixed-Criticality Traffics in Avionics Networks”, in Proceedings of the 19th IEEE International Conference on Parallel and Distributed Systems (ICPADS’2013), Poster, Seoul, Korea, 2013. [IWQoS] Jie Shen, Wenbo He, Xue Liu, Zhibo Wang, Zhi Wang and Jianguo Yao, “Communication Reliability Analysis from Frequency Domain”, in the IWQoS 2013, Poster, Montreal, Canada, 2013. [ICDCS] Jianguo Yao, Xue Liu, Wenbo He and Ashikur Rahman, "Dynamic Control of Electricity Cost with Power Demand Smoothing and Peak Shaving for Distributed Internet Data Centers", in Proceedings of the 32nd International Conference on Distributed Computing Systems (ICDCS'2012), Macau, China, 2012. [RTSS] Rui Tan, Zhaohui Yuan, Guoliang Xing, Xue Liu and Jianguo Yao, "System-level Calibration for Data Fusion in Wireless Sensor Networks", in Proceedings of the 31st IEEE Real-Time Systems Symposium (RTSS'2010), San Diego, CA, USA,2010. [ACC] Jianguo Yao, Xue Liu, Xi Chen, Xiaorui Wang, Jian Li, "Online Decentralized Adaptive Optimal Controller Design of CPU Utilization for Distributed Real-Time Embedded Systems", in Proceedings of the 2010 American Control Conference (ACC'2010), Baltimore, MD, USA, 2010. [INFOCOM] Rui Tan, Guoliang Xing, Xue Liu, Jianguo Yao, Zhaohui Yuan, "Adaptive Calibration for Fusion-based Wireless Sensor Networks", in Proceedings of IEEE Conference on Computer Communications (INFOCOM'2010), San Diego, USA, 2010. [ACC] Jianguo Yao, Xue Liu, Xiaoyun Zhu, "Reduced Dimension Control Based on Online Recursive Principal Component Analysis", in Proceedings of the 2009 American Control Conference (ACC'2009), St. Louis, MO, USA, 2009. [ACC] Jianguo Yao, Xue Liu, Xiaoping Zhu, "Asymptotically Stable Adaptive Critic Design for Uncertain Nonlinear System," in Proceedings of the 2009 American Control Conference (ACC'2009), St. Louis, MO,USA, 2009. [CODES+ISSS] Jianguo Yao, Xue Liu, Mingxuan Yuan, and Zonghua Gu, "Online Adaptive Utilization Control for Real-Time Embedded Multiprocessor Systems", in Proceedings of the 6th International Conference on Hardware-Software Codesign and System Synthesis (CODES+ISSS' 2008), Atlanta, USA. p. 85-90, 2008. [MobiCom] Rui Tan, Guoliang Xing, Xue Liu, Jianguo Yao, Zhaohui Yuan, "Adaptive Calibration for Fusion-based Wireless Sensor Networks", in the MobiCom2009, Poster, Beijing, China, 2009. Simplified Cloud Control Using Dimension Reduction, Invited Talk, LCCC Cloud Control Workshop, May 2014. Control of Virtualized GPU Resource in Cloud Gaming, Invited Talk, LCCC Seminars, May 2014. National Natural Science Foundation of China. "The Study on Resource Fusion and Optimized Sharing for Cross-Cloud Collaborative Computing", PI, 2018-2021. National Natural Science Foundation of China. "Collaborative and Automatic Allocation of Multi-Resource for Software-Defined Data Center", PI, 2015-2019. National Natural Science Foundation of China. "Study on Compositional Mixed-Criticality Cyber-Physical Systems Through Co-Design of Computation and Communication", PI, 2013-2016. New Teacher Fund for Doctor Station, the Ministry of Education. "Mixed-Criticality Cyber-Physical Systems based on Hybrid Communications", PI, 2013-2015. Shanghai Natural Science Foundation. "Resource Management and Scheduling for Virtualized Embedded Systems", PI, 2012-2015. Publication Chair: Cyber-Physical Systems Week- It brings together four top conferences, HSCC, ICCPS, IPSN, and RTAS (CPS Week 2019). Publicity Co-Chair: ACM/IFIP/USENIX Middleware Conference (Middleware 2016). Publicity Co-Chair: The 13th IEEE International Conference on Autonomic Computing (ICAC 2016). Publicity Co-Chair: The Second IEEE International Symposium on Advanced Topics on Embedded Systems and Applications (IEEE ESA 2011). The 15th IEEE International Conference on Autonomic Computing (ICAC 2018). The 36th Annual IEEE International Conference on Computer Communications (INFOCOM 2017). The 8th International Conference on Future Energy Systems (ACM e-Energy 2017). The 35th Annual IEEE International Conference on Computer Communications (INFOCOM 2016). The 34th Annual IEEE International Conference on Computer Communications (INFOCOM 2015). The 33rd Annual IEEE International Conference on Computer Communications (INFOCOM 2014).